New for Spring 2019 – Hive & Keeper! Moor Lodge have been working with a local landscape architect to design a beautiful garden in the centre on our luxury lodge development. 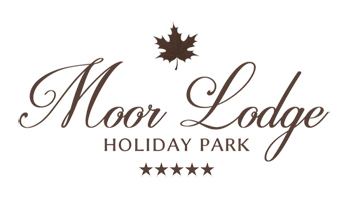 The aim to create a modern and tranquil environment, where our customers can walk through or sit and enjoy the peaceful atmosphere at Moor Lodge. Park owners James and Rod have finished planting ready for what we hope will be a fantastic season! We have had a very exciting few years, including a renewable energy development with some great press coverage! Please view our About us page for more information about this project. Heres a list of our local walk maps which are ideal for a lovely day out. Including Harewood house and stately home walk, Wetherby and our village walk of Bardsey. Click Here For Local Walk Maps! The fourth edition of the race takes place between 2nd – 5th May 2019. It encompasses all four corners of the county and starts in Doncaster and finishes in Scarborough! Book to stay with us to experience this amazing event! Its that time of year again! Dates for the next event are Tuesday 9th – Thursday 11th July 2019. 2019’s AJ Bell World Triathlon Leeds will see both the amateurs and elite – including many of Team GB’s Rio Olympians, once again head back to Leeds for what is set to be an unforgettable event on the triathlon calendar. From 8th – 9th June 2019 at Roundhay Park – stay with us to see this incredible event take place just 5 minutes drive away! This annual and international event is both an equestrian sporting event and a social event which is only 5 minutes away from us! A reintroduction program for Red Kites began in England and Scotland in 1989, with Yorkshire being the fifth area to see the birds released back into the wild, in 1999. Young birds that had been successfully reared in the Chiltern Hills in South East England were released at the Harewood Estate, and now there are tens of them living in our area. You are guaranteed to see them souring above you whilst you are with us. We can now offer a great and safe place to take your dog for a stroll immediately behind the touring area. This is free to use for all our Moor Lodge customers! Arrival of our first Lodge! We are delighted to announce that our very first luxury holiday lodge has been sited on our park this month. It is a beautiful Omar Westfield 40 x 20 with a full glass front. Equipped with front and side decking and a shed at the back for storage! It has been completely tailored to it owners specifications. If you are at all interested, don’t hesitate to give us a call on 01937 572424 for more information. Or you can visit our Lodges page for more photographs. The team at Moor Lodge are very pleased to you let you know that we have our first Luxury holiday lodge arriving in July 2015, that will be for sale! This will be a show home for interested customers to visit and have a meeting with us and Lindley and Simpson estate agents. Please visit Omar’s Website to see further information. Keep up-to-date with developments and news about Moor Lodge Holiday Park over on our Facebook page. We have just recently laid lovely new gravel throughout the site just in time for Easter holiday! We had a great weekend here and the sunshine came out just in time! Hope you all time had a great Easter. The Farmers’ Market has been in operation since late 2001 and regularly has around 20 stalls. of every month throughout the year except November when it is on the third Sunday. Stay with us for the CLA Game Fair at Harewood House, Leeds. We are only 4 miles away, making Moor Lodge a convenient place to stay! Bring your dogs and enjoy our private secluded dog walking area on our park. We still have a few bases with electric left so get in touch now to avoid dissapointment! Christkindelmarkt, Leeds is one of the most established German Christmas Markets in the UK, with traditional wooden stalls, festive greenery, Christmas carousel ride and twinkling colourfullights all creating a unique continental festive atmosphere in the heart of Leeds city centre. Harrogate Christmas Fair is where you’ll be able to pick up unique gifts to delight your loved ones, as well as inspired ideas and decorations to bring that magical Christmas sparkle to your home. 27 – 30 November 2014 at the Harrogate International Centre. We have now installed fast, easy WIFI for customers to use around our 10 acre park. We have a range of coupons for you to choose from to ensure your stay is as best as we can make it! customers safety and keep our park peaceful for all. Kilnsey Crag, the show has been a showcase for the Dales farming community for over 100 years.